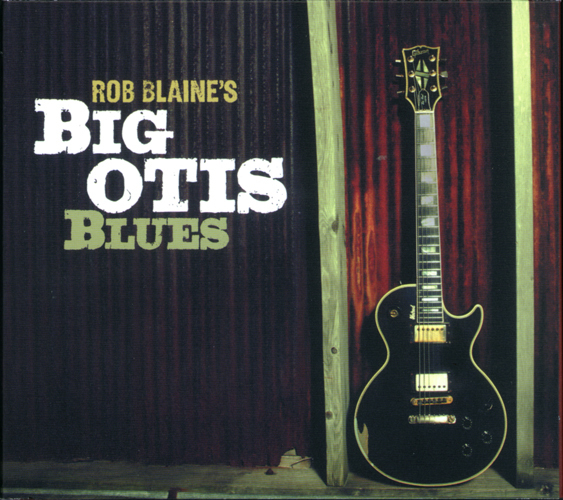 of Rob Blaine’s Big Otis Blues. Rob Blaine- Born in Chicago 1981, moved to Michigan, grew up listening to Blues, R&B, Funk, Rock, Soul, because of his father. Began playing guitar at 15, started giging and playing out by age of 17 with his guitar teacher, Charlie Schantz's band.Playing the blues standards. Started his own band with his brother Buck and other friends, playing around Grand Rapids for the next couple of years. He moved back to Chicago in 2003, where since has been on 3 U.S tours, and one European tour. Touring with Little Milton before his untimely passing, and currently touring with the Chicago Rythme & Blues Kings (formerly Big Twist and the Mellow Fellows) featuring Gene Barge a.k.a. Daddy G., and his own band. Big Rob Blaine plays at Kingston Mines every tuesday and at B.L.U.E.S. on Halsted once a month. "The liner notes are on-target when they say Rob Blaine yanks big chunks of music from his guitar"
"With his tenacious grooves, commanding guitar presence, and soulful personality, Rob Blaine leaves a mark on the contemporary blues scene." "When I say that Rob Blaine is a Guitar God, I mean that with two capital “G’s.” Not only is this a fantastic blues album, it’s just one of the best damn guitar albums I’ve heard all year. Period." "But, if you want to hear some no holds barred, down and dirty Chicago style blues, you gotta see this band play, or at the very least pick up a copy of his latest CD. Rob Blaine slices and dices on the guitar and adds great vocals to boot."